Ajahn Brahm responds to a viewer who wants to know whether we should understand the future in terms of destiny, fate or free will? Who decides what will happen to us next? This question and answers session follows the teaching given by Ajahn Sujato entitled ‘Training the Mind to Be Happy with Metta Meditation’, given in Sri Lanka during 2013. Ajahn Brahm talks about the difficult subject of enlightenment. In this talk Ajahn explains to us what enlightenment is and what it’s not. Ajahn offers this teaching so that we can have some idea and appreciation on what is and isn’t the goal of Buddhism and this practise. We apologise for the quality of this audio, this Buddha Dhamma talk was given in 1998. Ajahn Brahm shares stories of how to overcome suffering, depression and disappointments in life. Ajahn explains how we can use and learn from the bad things that happen to us in life to create great happiness. This Buddha Dhamma talk was given in Thailand during 2012. Meditation guided by Ajahn Vayama for approximately 30 minutes. Following on from the audience electing to do a contemplation of death meditation, Bhante Sujato discusses the Buddhist attitude to death and how to use the contemplation of death to find greater peace and understanding in life. Ajahn Brahm offers a teaching on the five skandhas or aggregates. Ajahn explains how these are the way the Buddha split up the world inside and outside. Ajahn looks at how the Buddha wanted us to use them and the results which come from using them, which is detachment and letting go of everything in the world outside and inside. This Buddha Dhamma talk was given in 1994. Ajahn Brahm offers a talk on how the Buddha taught and encouraged people to develop the heart and the mind, that is develop your character and inner world by practising generosity, compassion and virtue. You develop the beauty inside from what you do with your life. Ajahn talks about how you can develop the strength of heart and mind which can endure hardship and difficulties so that you can do that which is really wonderful and useful in this world. This Buddha Dhamma talk was given in 1993. The sound quality of this audio greatly improves as the talk continues. Ajahn Brahm talks about how the role of a teacher is to teach students how to find out the answers to their questions all by themselves. 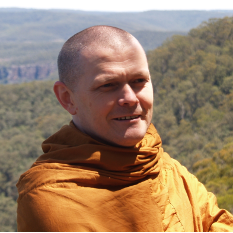 In this talk, Ajahn explains how to gain truth, insight and knowledge for yourself. Please support the BSWA in making teachings available for free via Patreon. Ajahn Brahm discusses the sometimes taboo topic of suicide, sharing a compassionate Buddhist perspective on how to understand suicide, and skillful ways of reflecting upon suicidal thoughts. Ajahn Brahm expresses why he chose the path of being a Buddhist monk and how it has fulfilled his objectives way beyond what he could have ever expected. Ajahn talks about how Buddhism really makes a difference to people’s lives, saves people’s lives and changes people and their lives for the better. This Buddha Dhamma talk was given at the Royal Bangkok Sports Club, in Thailand during 2010. In this talk Ajahn Brahm explains, why it is the Buddha’s teachings are timeless and have survived for so long. Ajahn looks at how to achieve the greatest happiness and enlightenment and describes how the Buddha became enlightened through the practise of samatha and vipassana meditation. We apologise for the quality of this audio, this Buddha Dhamma talk was given in the 1990s. Ajahn Sujato describes what Dhamma practitioners mean by a good time compared to most other people. Ajahn discusses how meditation teaches us what true and real happiness really is and Ajahn looks at where this happiness and peace in meditation comes from. “Holding on leads to suffering and letting go leads to peace”. This Buddha Dhamma talk was given in Colombo, Sri Lanka during 2013. 30 minute guided meditation given before the Friday night Dhamma talk. Ajahn Brahm responds to a request online about rejection and denigration from others leading to low self-esteem and lack of self-worth. If you enjoyed this talk, please consider supporting our work of sharing the Dhamma via Patreon. 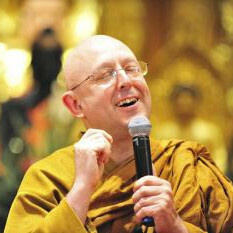 This question and answers session on meditation was held by Ajahn Brahm at the WFB Sanook Meditation Day in Bangkok, Thailand, during 2007. These questions and answers are associated with the talk "Meditation in a Nutshell". Ajahn Brahm talks about the real goal and meaning of meditation and reminds us that meditation is a great way of overcoming stress and improving our health. Ajahn explains how meditation and enlightenment happen by going against the stream that is against craving, restlessness, thinking, worrying and so on. Instead of going outwards we go in the opposite direction inwards, into the body, into silence and into the breath. This Buddha Dhamma talk was given by Ajahn Brahm at the WFB Sanook Meditation Day in Bangkok, Thailand, during 2007.